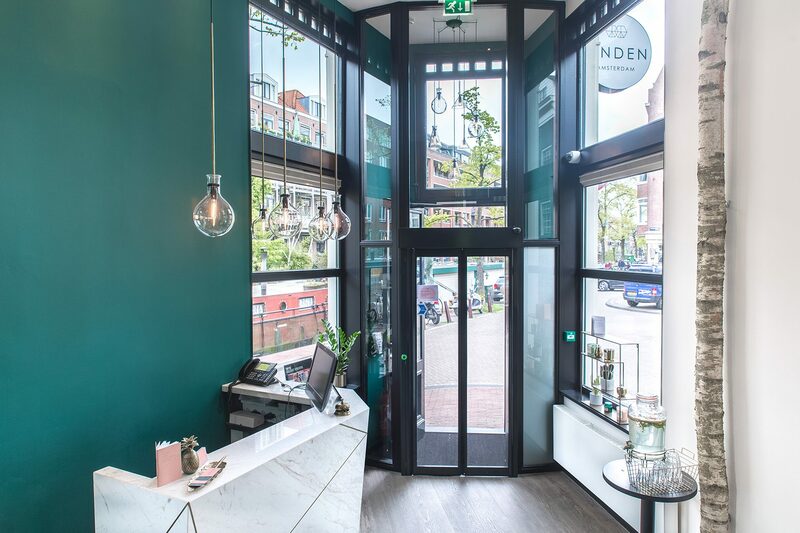 Linden Hotel has recently re-opened in Amsterdam, and managed to create a ‘catchy’ interior featuring natural colors, accented with beautiful brass and marble details. For this exciting project, our lights have been applied in several spaces: custom ‘laboratory lights’ in the reception area and hallway, and Double Red Foxes in the breakfast room, For the rooms, we created a special bedside lamp, in line with the hotel’s ‘Luscious Linden’ style. For the reception area, we customized our Moon Jellyfish lights by introducing touches of shiny brass. The Double Red Fox provides a warm amber glow on the wall in the breakfast area. For the rooms, we created 80 pieces of custom-made bedside lamps, constructed out of black emaille cups featuring brass elements and a warm decorative LED bulb.